The Power of the shakalaka Doo Edutainment for the Healing of the Nations. Gives the power to the music therapy for the soothing of the savage hearts. The 2016 Akademia Music Award winner for the best pop rock Ep, for Let's make our business forgiveness ,"" Ras Banamungu and the Det-n-ators International, or Abadahigwa International Movement (AIM) a Musical fellowship Movement for Edutainment was formed shortly after Steven Dean met Ras Banamungu in Rwanda in the Spring of 2013. Peace and love activist, Philosopher, Music producer, Vocalist and musician Ras Banamungu was already. Messianic singer and worship Leader star, in his native country and also well-known for his many charitable works as a musical therapist; dancing and singing his songs of freedom and joy to entertain the children, for Edutainment, many AIDS-ridden, in the scattered orphanages that abound in the aftermath of the genocide more than two decades ago.The peace and love activist Ras Banamungu is passionately commits his life to anthers in a quest for healing....Ras Banamungu exceptional musician who lives in Perth Western Australia.His story is as fascinating as it is inspiring.Ras Banamungu is a man who has a passion for facilitating healing for those who have encountered trauma.This is despite the fact that his teens Ras Banamungu lived through the horrendous atrocities of the Rwandan Genocide.It was this passion that led him to be a music therapist in Rwanda for over 15 years as a way of healing people after the Genocide.Ras Banamungu founded Counselling Envisioning community (CVC) Where he worked with the in the orphanages with the genocide survivors and those affected by AIDS.The genocide survivors had encountered unimaginable violence, trauma, starvation and terror.Ras Banamungu' s teachings were the Way of showing community the.Vacation of people helping each other into groups members where they live or at their workplace. Steven Dean, also a vocalist and musician, came to Rwanda as part of a group dedicated to bringing relief to the heavy trauma suffered by many of the survivors involving the use of clay therapy, of which he was a student. Steven and Banamungu, also a partner in the trauma project, hit it off straight away and began writing, recording and performing songs together shortly afterwards; drawing their influences from both traditional African and Western musical ideas. Steven also found that Banamungu's Rastafarian understanding of the truth of life tied in very well with the truths he had himself learned after considerable study of A Course in Miracles and has subsequently taught via many online videos. 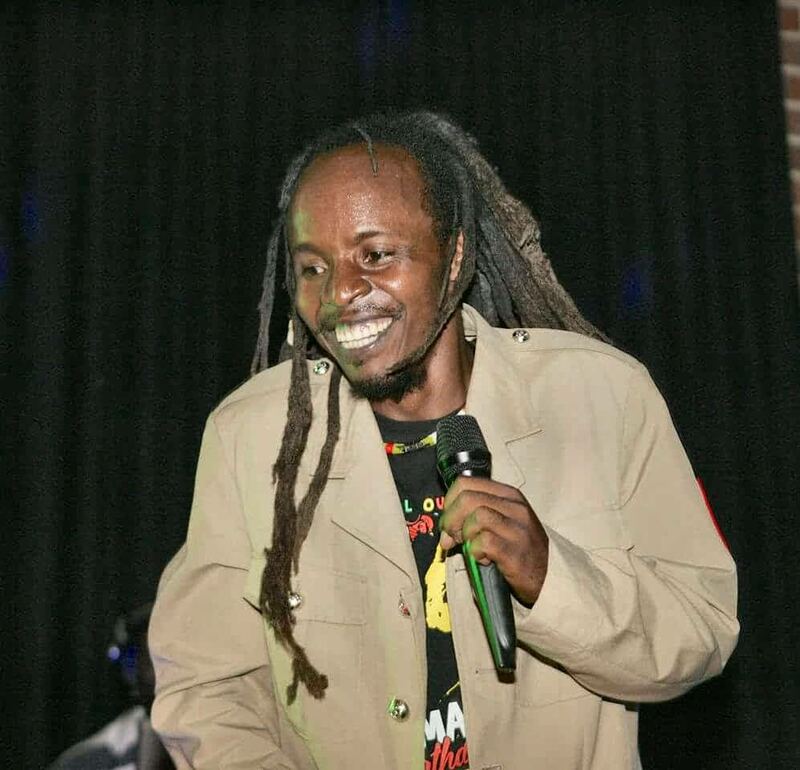 Following several successful gigs, including Rwanda's annual Bob Marley festival, Banamungu traveled to Australia with Steven once the trauma relief project was over, where Ras Banamungu and the Det-n-ators International was formed and have been writing and recording ever since. The Det-n-ators International being an extension of the original idea behind. Abadahigwa International Movement (Aim) . This idea being that Ras and Steven are the core members, but anybody with a valid musical idea could also contribute. Hence the fine array of various artistes and singers that can be found on the 'I am MessenJah' CD.we have a contract with an UK distribution company, Pop up music with distribution deals all over the world. And an American one Songtradr, with distribution deals in different countries. Ras Banamungu is still very much involved in charitable works in both Australia and Rwanda, whilst Steven is currently living and working in the USA; looking forward to the I am MessenJah' CD promoting the word of love, charity and truth throughout the world.